With Front Door Fashion, shopping will never be the same. Our in-house fashion stylists hand-select high-end clothing and accessories that fit your taste and body type, and coordinate them into complete outfits. 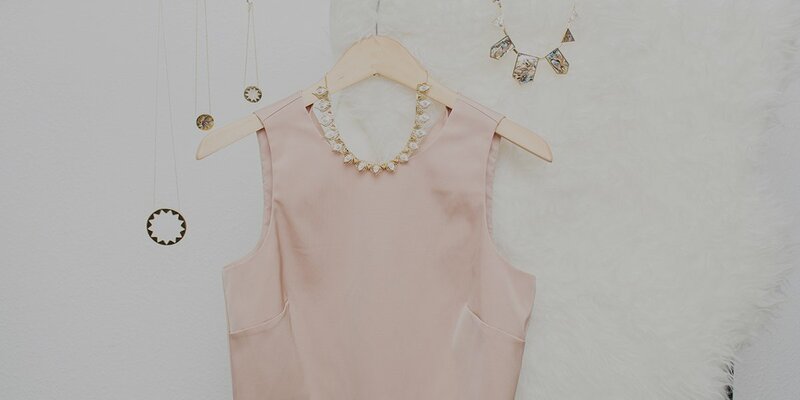 Whether you wear it all together or mix and match pieces, your personal stylist will be there to guide you through it all with detailed style notes. Try on everything at home on your own time—no pesky sales people, no crowded malls, and no cramped dressing rooms. It's how shopping should've been all along. 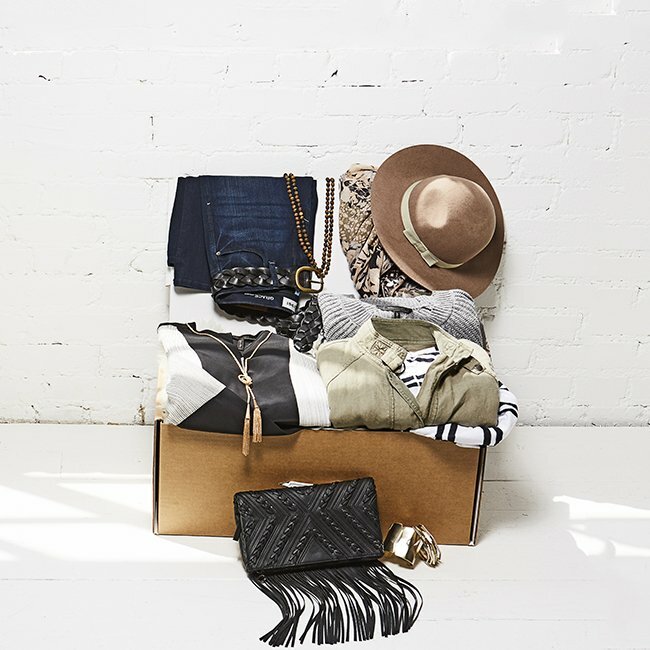 To get started, create your account, fill out your style profile, then request your box. Your stylist will be in touch soon to go over all the details and put the finishing touches on your order, then she'll prep 4 to 6 personalized outfits to send your way. Really, it's the beginning of a beautiful friendship. Along with your 4 to 6 looks, your stylist will send detailed outfit notes (i.e. you'll know exactly how to wear it all together, and mix and match pieces). 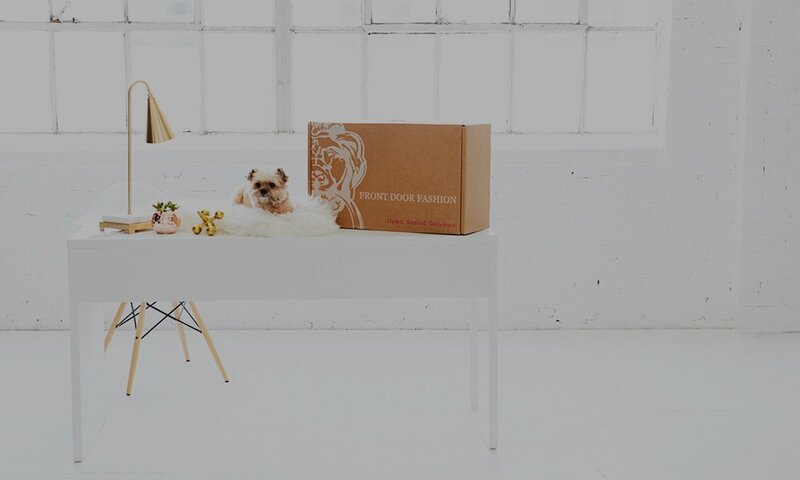 From the day you receive your box, you'll have 5 business days to decide what you love. Try on everything in the comfort of your own home and on your own time. Whether you decide to keep it all or only a few pieces, it's up to you. Just send back any returns with the prepaid shipping label, and you'll only pay for what you keep. 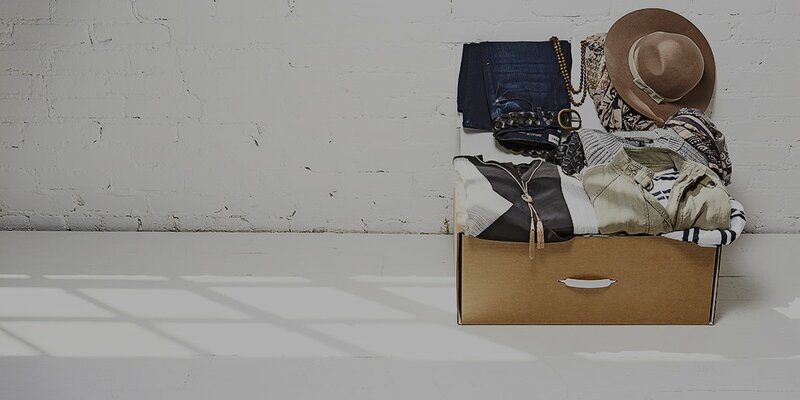 And remember, this isn't a monthly membership—request a box only when you need one and as often as you like. studio for a Style Appointment. No styling, shipping or membership fees. And remember this isn't an automated service, so you won't receive any surprise boxes. There is a $100 deposit, but don't worry! It's applied to your purchase or refunded if your total is less than the deposit. Interact with real fashion stylists, never sales people. Our stylists are experts at dressing women for every situation, and will help you create a wardrobe designed to make you look (and feel) your best. We carry more than 200 clothing and accessory brands, including Trina Turk, Kendra Scott, BCBG, House of Harlow, AG Jeans, Nicole Miller, Michael Stars, Splendid, Diane Von Furstenberg, Equipment, Paige and more. 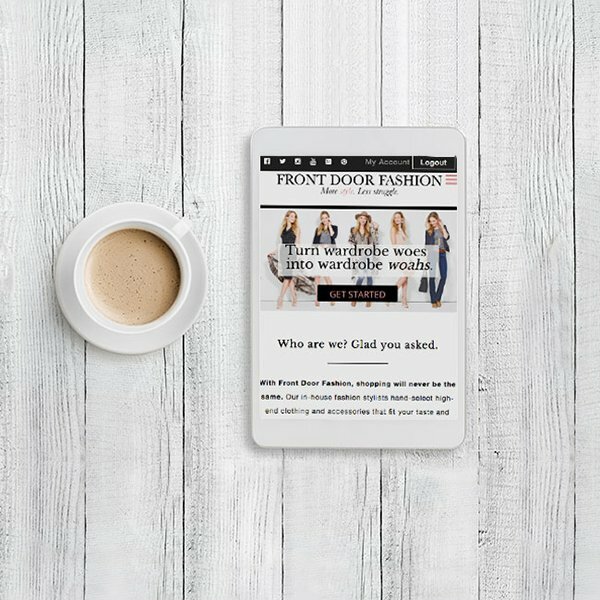 “Front Door Fashion has helped me step out of my comfort zone! My stylist goes out of her way to help me find the perfect pieces for my wardrobe. Thank you so much, Front Door Fashion!" "My stylist did a fantastic job of mixing and matching pieces with accessories for a classic yet fun look... [There were] some more expensive brands, but those items were balanced with affordable well-made and tailored items."